For any random reason when we move from an email address to another, the first thing we do is to set up an email forwarding. The automatic email forwarding makes sure that we do not miss the important emails that we still get to the old email address. The same happen with the website URLs. If you are moving from one URL to another, you have to make sure visitors or the search engines which are still using your old URL must be sent to the new corresponding URL or somewhere useful and relevant. So that you won’t miss the perks from those old URLs. In the web-world, this phenomena is termed as 301 redirects. Simply, by using 301 redirects you can retain your domain authority and search engine rankings even with the new website URL. How? We will discuss in this post. Here we are going to discuss the details of 301 redirects, why it’s important to use them, and how can you best utilize them when other redirect options are also available. Out of all the redirects being used today, 301 redirect is permanent in nature. It’s a permanent redirection from one URL to another, you cannot revert back to the original URL. When a user or the search engines requests through the old URL, the 301 redirect sends them to a different URL than what they originally typed in or requested for. So, users won’t have to type or know the new URL. For example, these two URLs would open the same site. With 301 redirect setup, in all the inbound links that we get on either of the URLs, we get the search engine authority associated with either of the URLs. One more thing to notice, even if you visit the site through the second link, you will still read the URL in the browser as velsof.com/blog. That’s because of the 301 redirect. This redirect has been set up to maintain the domain authority from inbound links associated with the second link to improve the search engine rankings. It’s crucial to know that changing even the minute aspect of a page URL may result in the search ranking drop associated with the URL. This is where 301 redirects come as a savior where you do not need to change the original URL; just create a new URL and redirect the traffic to it. In this way, you can have a new URL without killing the search engine optimization associated with the original URL. To associate all the possible URL conventions to a single URL to maintain the domain authority. For example, when we migrated knowband to the HTTPS URL, we associated all the possible conventions to a single URL to maintain the domain authority even after changing the domain address. That is, we associated “knowband.com”, and “http://www.knowband.com”, to a single URL that is https://www.knowband.com. To replace long dynamic URLs with the shorter SEO friendly URLs. It’s often a surprise to see that many website owners don’t setup the 301 redirects between the http:// and the http://www. versions of the URLs. 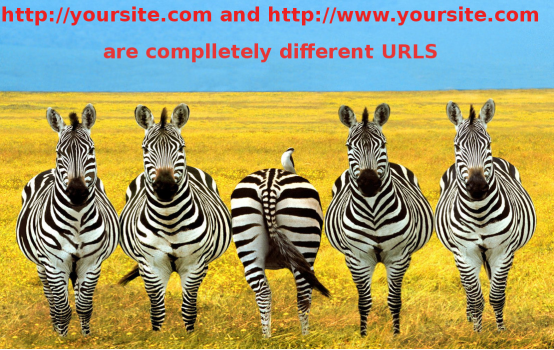 The fact behind the two versions of URL is very little known outside the SEO premise. You have to understand that search engines see these two URL versions as two different URLs. So, it’s crucial to set up a 301 redirect so that domain authority is maintained, SEO is retained, and no duplicate content issue arises. When to prefer 302 redirects over 301 redirects? Simply, 301 permanent redirect is good for your search engine optimization and maintaining the domain authority. It’s good to use when you decide to permanently move to a new URL. 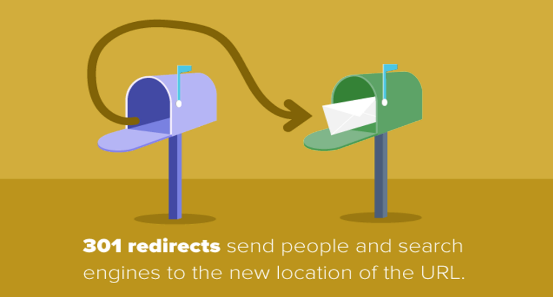 However, there are several situations when a temporary 302 redirect should be preferred over 301 redirects. If you do not wish to permanently move to a new URL and wish to come back to the old URL after some time, you should not use 301 redirects. Instead, use 302 temporary redirect that carries the redirection for a particular duration or period and then revert back to the original URL. For example, when your website is undergoing maintenance and you cannot afford to loose the visitors in the meantime, you can redirect them to a different domain temporarily. Or you can also redirect all the URLs to a custom-page where you can show the information about website maintenance and inform them about when it will be back to live again. What did we learn from the redirects? Lesson#1: Don’t forget to always set up a 301 redirect between the http:// and http://www version of your domain. Lesson #2: Don’t ever move to a new domain without first setting up a 301 redirect between the old URLs and the new URLs, if you want to maintain the SEO and domain authority. 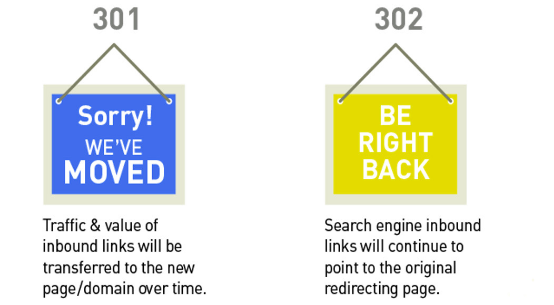 Lesson #3: Unless you are temporarily migrating your website content, always use 301 permanent redirects instead of 302 redirect to maintain the inbound links and search ranking. Lesson #4: Redirection of internal links from old to the new one is important for maintaining the user experience. If you don’t redirect the old internal links to the new ones, your visitors would be still seeing an outdated page that is not relevant anymore. It will kill your UX optimization on the whole. These lessons also put forward a series of steps that you should follow while migrating from an old URL to another. If you are in contact with an SEO expert or you have an SEO team of your own, make sure they are actively involved while your website migration to a new domain or HTTPS migration. Along with the website development team, the SEO team would make sure the redirects are done correctly without any mistake. This would help you to maintain your domain authority and search engine optimization even after migrating to a new URL.